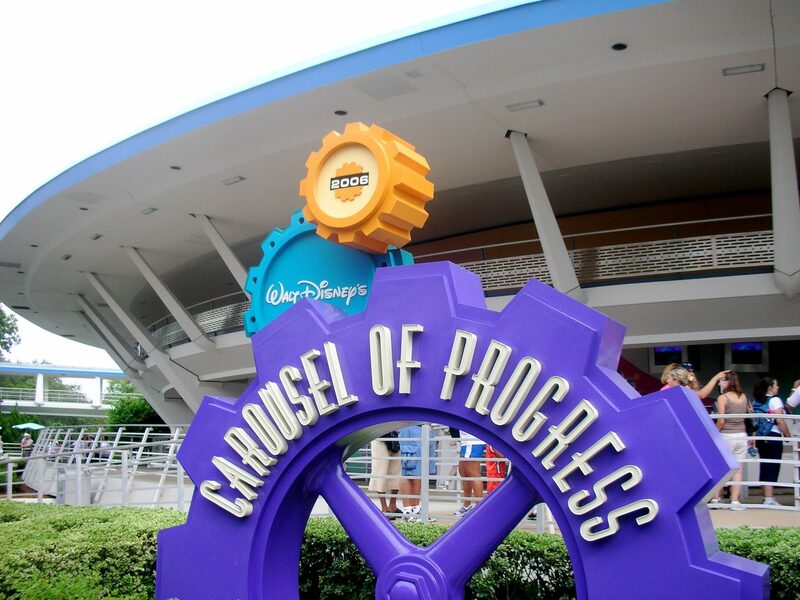 This classic Walt Disney attraction takes guests on a journey through progress. Guests sit in a theater that rotates around a circular stage. Each section of the stage is visible only after the theater rotates.